Have you ever been drenched in the magic of nine yards? If you today also open your wardrobe you will see a lot of Indian sarees which have been there for the longest time you can ever know. These beauties hanging on your alloys in your wardrobe have different colours, patterns and designs. These Indian outfits or loose piece of cloth is known as sarees or sari whatever you love calling it. It is worn aesthetically by women in India for everyday basis or on big events. Now, our nation pride has reached every heart around the globe. There are so many types of saree in India with every state or boundary we cross we have a certain kinds of saree. This garment is taken special care to be weaved with threads of fine fabrics and finishing off with mind blowing patterns, which differs as you step on a new region 2kms thereafter. There is a story behind every weave and style of saree here we will see every region and its kind of sarees. 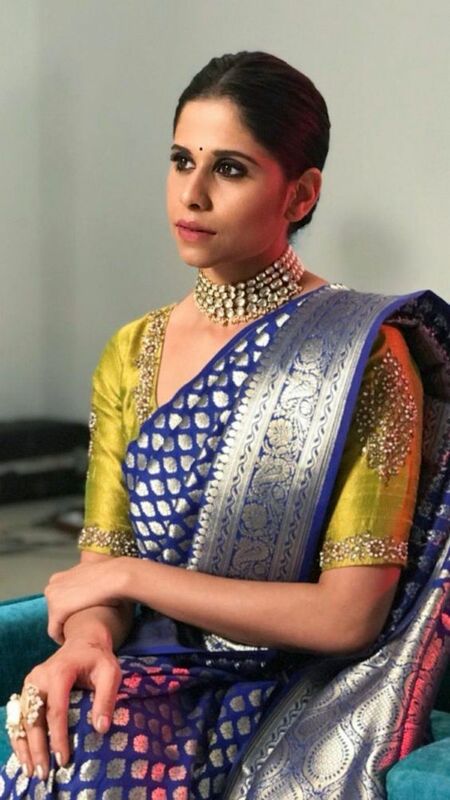 Nowadays, women have been keen on draping the traditional sarees and also they are more into the essence of it, whereas the style can change through what a woman pursue and can work it out through herself. What if your garner yourself into a pool of different types of saree. Some of the names which are really famous through the style have been there since centuries like banarasi sarees, Kanjeevaram sarees and chanderi sarees. You have heard about these from your mother’s to grandmothers, they know how the real beauty of this fabric. Each of them have their unique charm to swoon away most of us through their design and style. At Tjori, we are all working towards the essence and traditional demographic to up stand our own traditional designs and patterns. 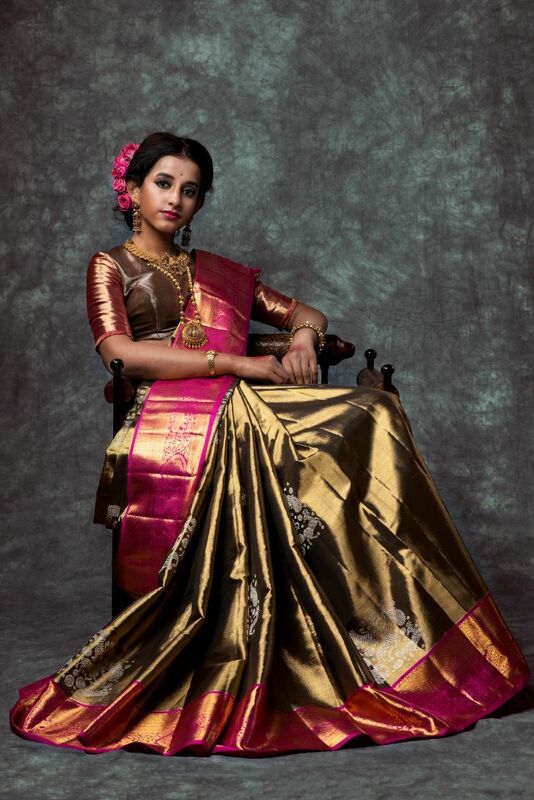 Chanderi sarees- Charming yet chic! Chanderi sarees, it is designed in the small town of chanderi as the name suggests, it is tailored and designed at that very town. Chanderi sarees gives a royal appeal with a pinch of subtle design. 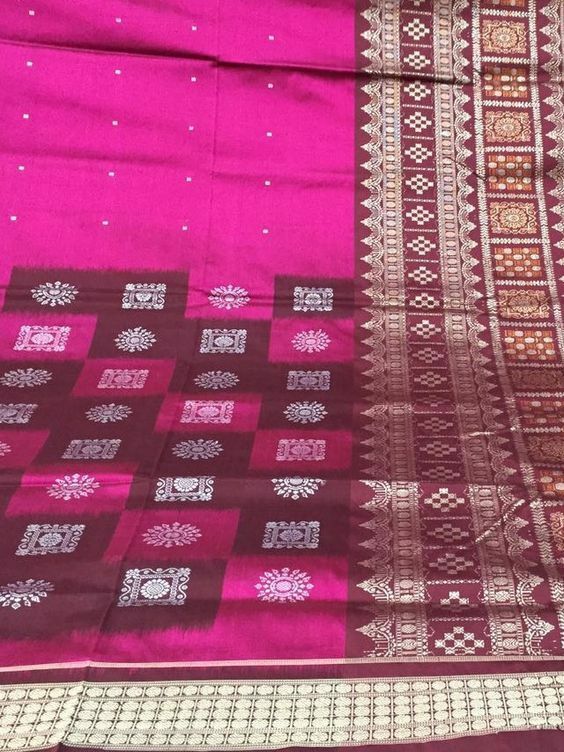 Chanderi saree online are also consider as the masterful art of the textile industry, they are given various patterns such as tradition coin, floral art, peacocks and geometrics pattern into different chanderi sarees. These sophisticated chanderi online sarees can be paired with any type of heels but I would suggest for avoiding printed ones. Wear traditional handcrafted jewellery to accentuate its beauty. Sarees are love for every women, it’s a brilliant choice for any gala event or any other traditional function. We have seen most of our popular actresses wearing these sarees on big awards functions. Our very own veteran actress Rekha who is known of wearing these beautiful banarasi bsarees in every glamour night is the first person to get noticed. Their marvellous colours, sheen and texture are something which is enough to give you the swoon magic in your outfits. Crafted in the land of Varanasi, these type of sarees have heavy golden embroidery and are popular bridal sarees in North India. West Bengal, the origin of tant sarees has been one of the oldest places to buy these sarees. Kolkata city is defined by these sarees, purchase these crisp cotton sarees which is known as tant saree there. They are stiffly starched and thus they are straight and don’t have a certain flow in the saree which is usually seen in other sarees. These types of saree are made by excellent skilled artisans and are alluring when wore during durga puja, kali puja etc. You must have heard about kajeevaram sarees that definitely is one of the most beautiful saree which you can ever buy. It is a star in your wardrobe if you have that, it pleases the collection and makes it more beautiful. 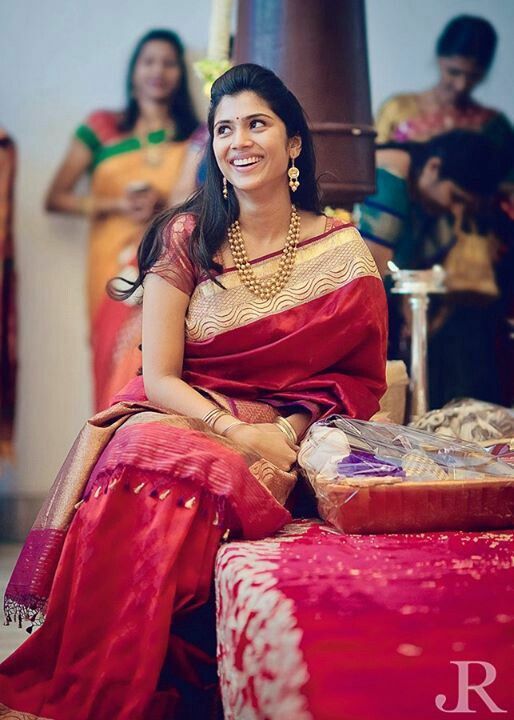 These type of sarees are the most famous bridal saree of south India but now they have gained all the possible attributes here in north India as well. Indian women love to spend their money over these saree as they are so alluring. These are crafted from the hub of Kanchipuram, Tamil Nadu, this saree has earned fame for its vibrant colours and excellent borders with temple patterns. It is also seen on famous bollywood actress. 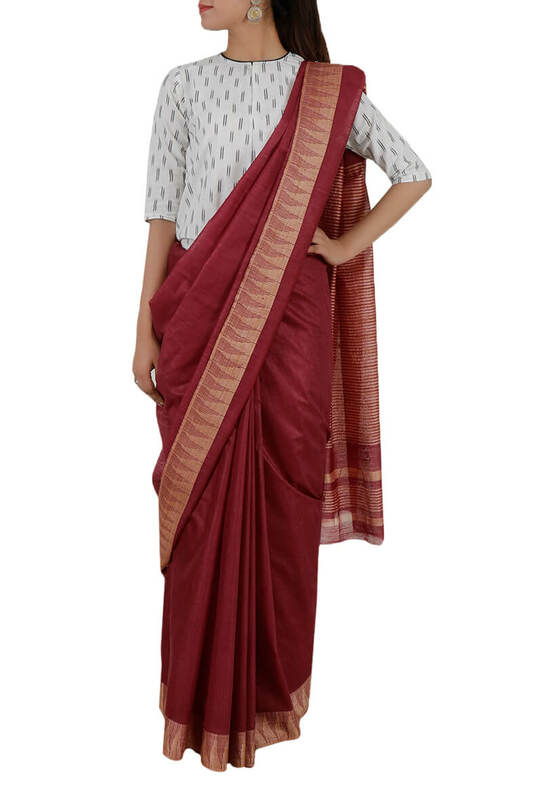 Handwoven in a magnificent wine colour, this bhagalpuri saree has been crafted in tufts of silk and cotton, blended seamlessly. 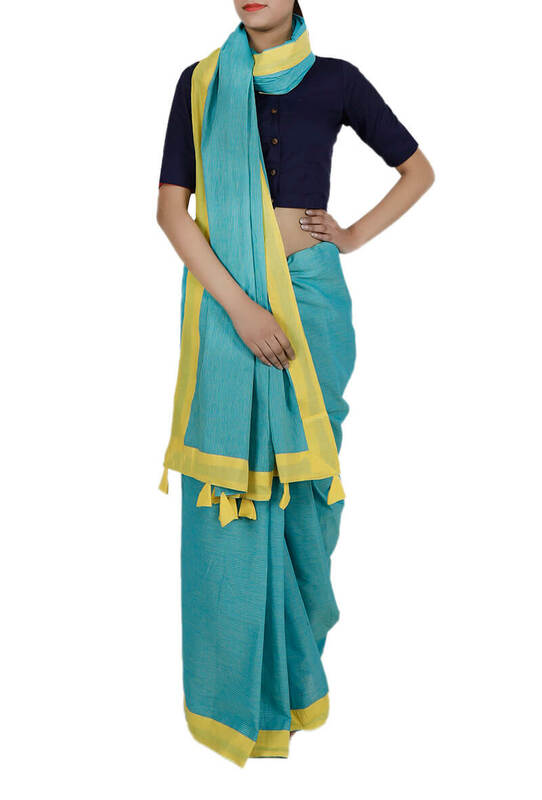 Ideal for an evening event, this saree can be worn with a stylish blouse. Bhagalpuri silk sarees are commonly found in Bhagalpur which is a town in Bihar. You can wear it for a traditional function or occasion. The name in itself as about the place this saree type comes from, it is made on the beautiful land of Assam. 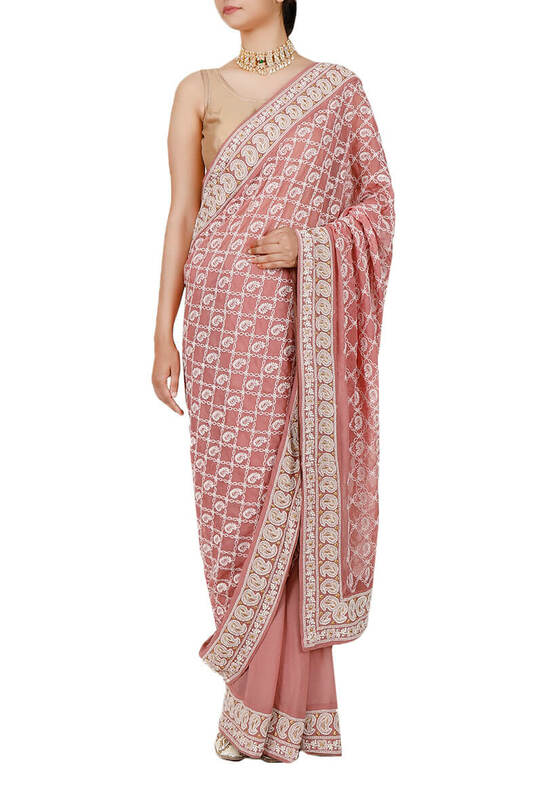 The name for this saree is Mekhela chador; this is made with two pieces of clothes that are draped around the body. Assam sarees are famous for its delicate weaving through moga silk fabric and precise threadwork as well. Wear them with statement jewellery and ethnic heels to get the perfect look. Batik printed sarees is a result of ultimate creative craft and aesthetic sense of design. These are the decorating drapes which are made by wax and dye. Batik print is an ancient technique which is used to make beautiful prints and styles. These type of sarees are available on many types of saree like cotton sarees , georgette sarees etc. Wear them in your formal meetings or casual outings. To get the perfect look of this saree, you have to wear simple statement jewellery pieces and heels to complete the look. Thanks to the amazing land of Odisha which gave us the beautiful patterns and saree ornamentations which is now famous as sambhalpuri sarees. These are available in silk and cotton fabrics, this style showcases awesome embroidery patterns and can be combined with teracotta jewellery. Perfect for festive occasions and casual wear as well. These sarees are the most comfortable outfit for women. Found in the mist of Maharashtra, it is nine yard saree which is draped in a different style. These are available online and are tucked at the back and looks like a dhoti style. This wedding season, spruce up your style with Nauvari saree. Pattu sarees are from the green land of Kerala and give us a platter of its traditional colours. Kerala believes in the nature orientation more than any other city in India. This type of saree looks amazing in every sense, these sarees are made in bright colours and looks astonishing. Pattu sarees are typically white with amazing golden and different borders types. You can wear them on various festive occasions with gold jewellery. 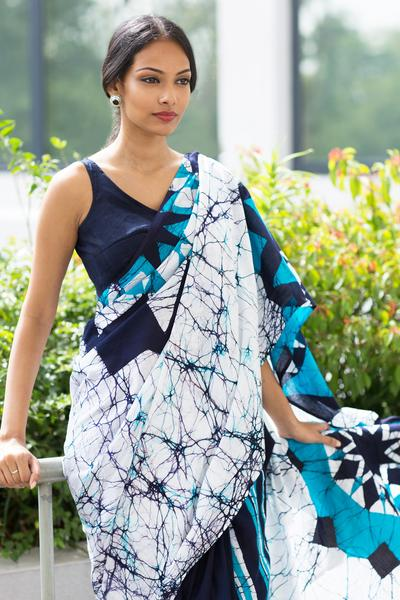 These sarees are made with ikat pattern and tailored in Nalgonda district, Telengana state. 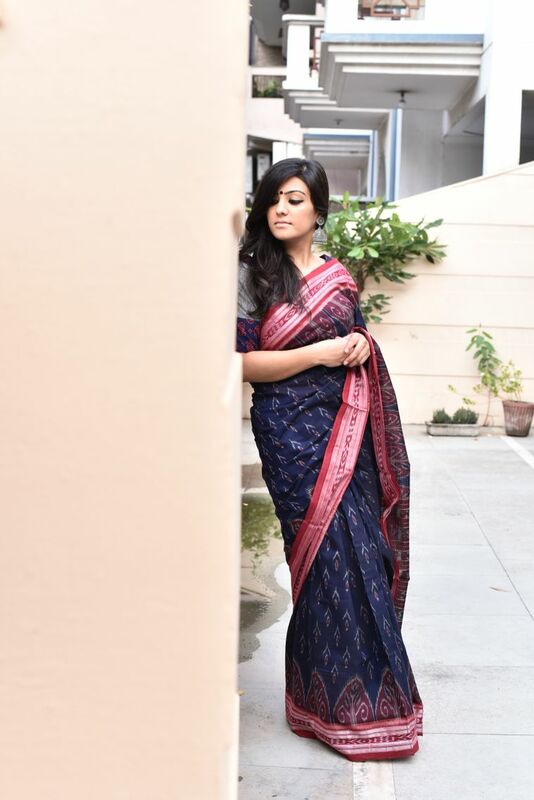 These traditional sarees are popular for their traditional geometric patterns in Ikat style. Spruce up your Indian ethnic look wearing these sarees with a nice hairdo and traditional antique gold statement jewellery. These Sarees with exquisite designs are made with intricate designs and are loved by everyone. These sarees are natural representation of nature scene and are famous among various women who love ethnic wears as their finest choice. Feel the power of nature alongside the border of the pallu as you can see natural patterns such as trees, and birds like parrots and peacocks woven on them. Paithani sarees are really amazing in looks when paired with pearl chokers and jewellery set. Kotki sarees are beautiful sarees with temple designs and architectural imprints, this saree type will look pretty with dainty jewellery or terracotta jewellery. Kotki saree can work for traditional functions and family gatherings. Gota patti sarees are amazing in terms of look and style, Basically it has special kind of border which is attached after the saree is made. These are available in pretty hues and styles. These sarees are also used by designer to showcase Indian styles in different forms. Contemporary women love to wear these with special jewellery like the tribal or afghan one. Pair these up with off-shoulder blouse and nice choker to get a dazzling look. One of the most beautiful and admirable style of Indian sarees is kalamkari sarees. The term kalamkari have originated from ‘kalam’ that is pen and ‘kari’ means craft. These sarees are known for artistic creations and crafts designed manually. These sarees exhibit hand painted designs and arts but nowadays printed kalamkari sarees are also available due to high popularity and fame of these sarees. These sarees depicts beautiful stories and sculptures. Being highly attractive and exhibiting exceptional designs and aura. These sarees are loved by every woman due to its style and colours. 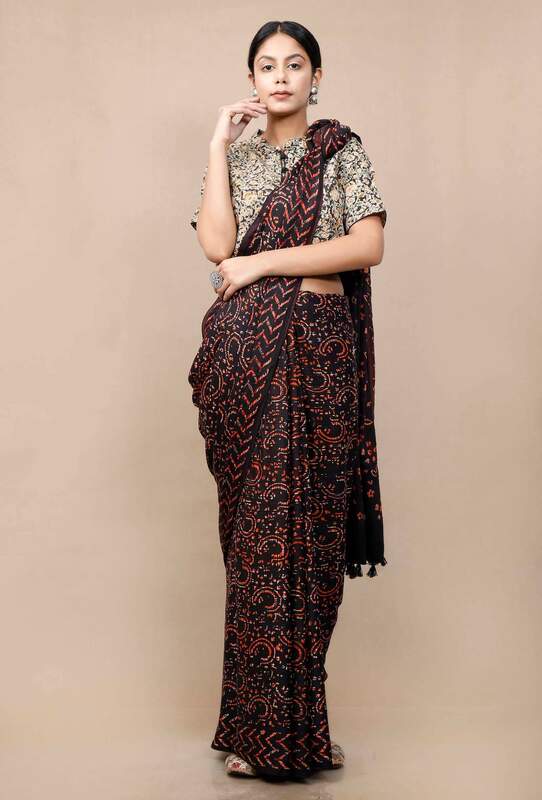 A stunner in black modal silk, this saree has been enhanced with intricate Ajrakh hand block printed motifs. It features delicate and beautiful design of ajrakh. Ajrakh design is made with natural dyes with wooden blocks. These are available online on various websites. Nowadays, people are in awe of these sarees, these can be paired up with any readymade blouse and nice jewellery to get the perfect look. Patola sarees are originated from a small land in called ‘patan’ from Gujurat. Patola sarees are rich handloom sarees, these sarees exhibit highly bold, vibrant colours and strong patterns and designs. Patola sarees come in vast combination of vivid colours and intricate detailing, these saree are perfect for family functions, weddings and much more. The radiant and fuller ethnic apparel is guarded family tradition of patan weavers. These are perfect for any woman who loves vibrant colours and designs. 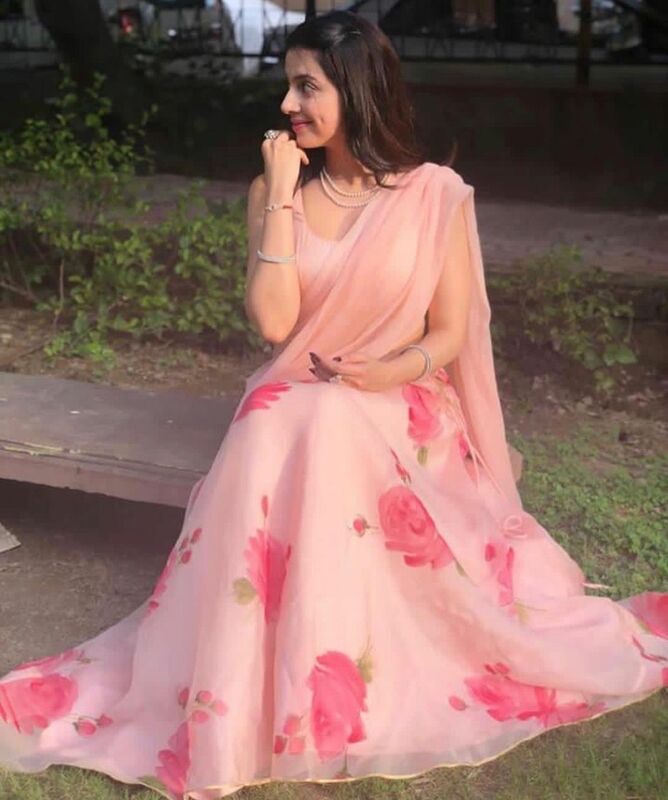 Silk can never go out of fashion, it is one of the best fabric or saree type which is loved since ages, and we often see women wearing them on special occasion and on traditional events. So, here introduce yourself with another type of silk saree that is baluchari sarees. The origin of this type of sarees or blouse designs and patterns is in West Bengal and its local districts. In these traditional yet designer sarees, the borders showcase ancient stories from epics like the Ramayana and the Mahabharata. One of the most common things in these sarees are the sheen that makes it more attractive. Wear these with nice and chic jewellery and get an amazing look. A great piece of design from the state of Odisha, these bomkai sarees is highly popular among various famous Indian sarees. These handwoven sarees are handcrafted in a way that they look outstanding and the weaves are also awesome in all the new terms. These type of saree can be worn with contemporary jewellery. As in the name ‘Dhakai’ it suggests that it is originated from the grounds of Dhaka in Bangladesh. The work is admired in the coastal areas of west Bengal and other areas of the state. The jamdani work is then mixed with Dhakai sarees and then the whole dhakai jamdhani sarees are made. This sheer cotton sarees resembles the simple choice of sarees. These sarees are simple in every sense and are made with lightest designs. When you are heading towards summers the best type of fabric which helps you in keeping your style and body at ease is chiffon. It is certainly helps in making your body breathe throughout the time. These types of sarees are flawless and make your look stand out from the crowd. Most of the women consider these sarees and also style them accordingly. Preferring to the summer atmosphere we recommend these for sure. Georgette, a crepe weave made using silk yarns is a popular fabric being used for all types of clothing. This is also a fact which people don’t know that it is made from silk fabric. These types of saree have different types of embroideries, Crafts and much more. Please make sure to add a perfect statement with any jewellery piece and heels. Sarees are one of the most beautiful part of the Indian culture, we can see a woman wearing saree at every two steps in Indian societies. I believe it is our national treasure that we have so many type of sarees in our diverse culture. Sarees not only makes us look good but also have a religious aspects which makes them more beautiful and styling.